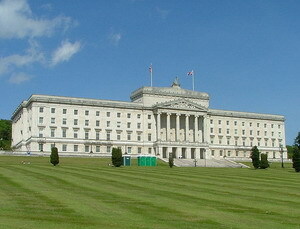 Located in Northern Ireland, Belfast is the capital and the largest urban area in that area. The city is situated on the Ireland's beautiful eastern coast and flanked to the northwest by a series of green rolling hills, including Cavehill, which is thought to be the inspiration behind "Gulliver's Travels" by Jonathan Swift. Belfast is located at the mouth of the Lagan River, which makes it an ideal port for shipbuilding and industry. The Titanic was built in Belfast in 1912, and the company that made it, Harland and Wolff, had the largest shipyard in the world. But the city itself has an ancient history that began as early as the Bronze Age. The Giant's Ring, which is a 5000 year old henge, is located close to Belfast and the remains of Iron Age hill forts can be seen and visited in the hills that surround the city. Belfast was a small settlement during the Middle Ages, and John de Courcy built a castle on what is currently Castle Street in the 12th century. While it was not as fancy or large as Carrickfergus Castle to the north, it was still a beautiful place. In the 17th century, Belfast became a major settlement after being established by Sir Arthur Chichester. Although it was initially settled by the Protestant English and Scottish migrants during the Plantation of Ulster, the city was formally founded by the Society of United Irishmen in 1791. Belfast soon boomed as a commercial and industrial area in the 18th and 19th centuries and became Ireland's premier industrial city. Many great industries thrived in Belfast, including rope making, tobacco, heavy engineering, linen, and shipbuilding. The city overtook Dublin as the largest city in Ireland, especially when the shipyards became some of the largest in the world. But, it was heavily bombed in World War II, and in one single raid in 1941, German bombers killed over one thousand people and left tens of thousands of people homeless. But, many of the beautiful historical buildings are still standing and there are so many great castles, royal homes, and more to visit and see. You can also find awesome vacation rentals that will allow you to stay in some of the most luxurious and famous places in Belfast. It is easy to find the perfect vacation rental here in the city, as there are always openings throughout the year. But, make sure that you know what time of year you want to stay and book your vacation rental as early as you can so you are sure to get the best one, at the perfect time of year.